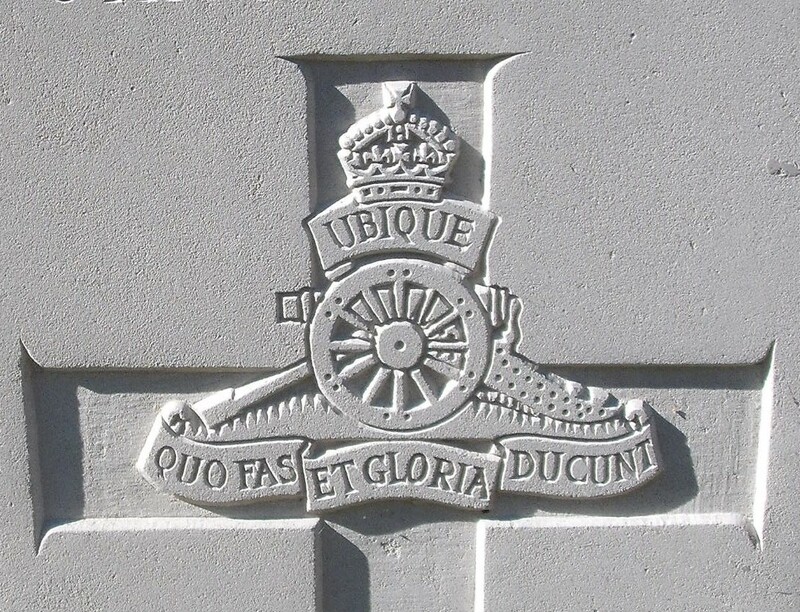 285th Siege Battery, 83rd Artillery Brigade, Royal Garrison Artillery, B.E.F. Arthur Galbraith was born in India, the son of a Major General, and grandson of a Lieutenant-General. In 1901 the family were living at Abinga, Lansdowne Road, Bournemouth. Arthur had a younger brother, Ian who was also born in India. Their mother Helen Galbraith, who was thirty years younger than her husband was the daughter of Lieutenant General Arthur Handcock CB of the Indian Staff Corps. Presumably the family had some connection with Malvern Wells – the information supplied to the Commonwealth War Graves Commission states that Arthur Galbraith was born in Malvern Wells, but this is not corroborated by the census record.